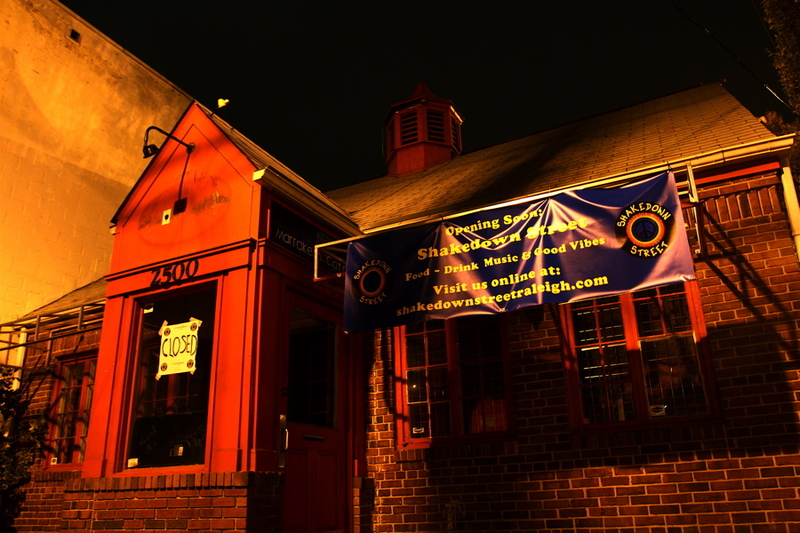 Do Hookah Bars Have an Uncertain Future? Sometime over the weekend, the lone Hillsborough Street hookah bar-Marrakesh Cafe- closed its doors with a sign indicating that Shakedown Street is set to replace it. The possible factors leading to its demise aren’t few and far between: a decline in business on Hillsborough Street since roundabout construction, the looming loss of the ability to sell food with the smoking ban, and increased local competition. 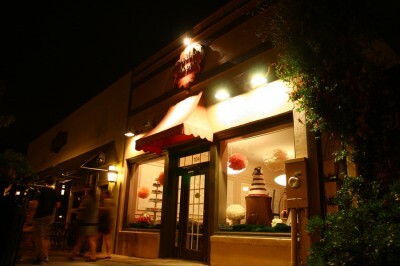 After riding a high PR wave with the likes of introducing President Obama at a rally in Raleigh and giving away over 3,000 cupcakes as a way to thank customers for two years of business, The Cupcake Shoppe on Glenwood Avenue continues to add charm to downtown and look toward the future. STUFF Consignment has been closed for at least a few weeks now, but this past weekend was the first time I had noticed the note on the door above. 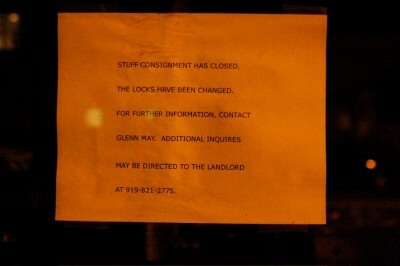 I had walked by on a few occasions and noticed the store wasn’t open, but didn’t think it was permanent.